The Pocono Mountains offer many incredible sightseeing opportunities and fun activities for the adventurous. Vacationers from all over the nation come to the Poconos to get away for a fun getaway. Unfortunately, winter snow and other conditions can create dangerous driving conditions. 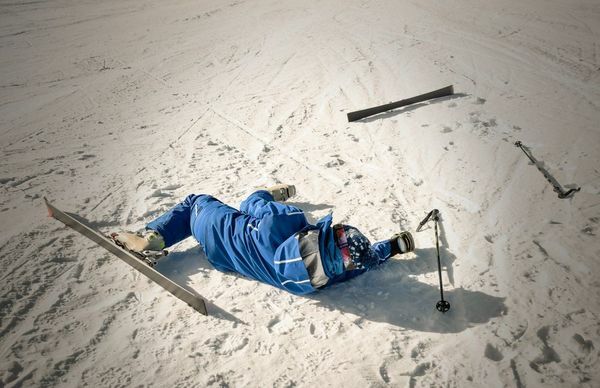 Additionally, even the most avid adventurers and skiers may become injured because of someone else's negligence. At Foley Law Firm, we have helped many individuals and families affected by these tragic accidents in Poconos, PA. A serious accident or injury can ruin a vacation, but with a personal injury attorney from our office, it does not have to ruin your life. Every year, thousands of individuals come to the Poconos for recreational activities and vacation. With mountain ranges, rivers, lakes, and other natural features, the region hosts casual tourists as well as advanced explorers. However, with such varied terrain and activity options, injuries occur every day and often through no fault of the victim. As local attorneys, we are extremely familiar with officials in the area and the court system as a whole. This allows us to build cases that succeed in the courtroom and help our clients seek the compensation they deserve for their injuries. Neglected campsites, undertrained activity directors, faulty equipment, and many other factors can cause innocent parties to suffer from serious personal injuries. Owners and landowners are expected to properly maintain their properties to ensure the healthy and safety of those who visit. Poorly maintained campgrounds and other locations can become dangerous for visitors. Undertrained rafting guides, zip-line operators, and others in charge of recreational activities can also unwittingly cause serious injuries if they improperly secure guests or make ill-judged decisions. If you have been injured because of the negligence or recklessness of another party, our attorneys can fight for appropriate compensation. The routes and highways surrounding the Pocono Mountains can be very busy and dangerous for locals and visitors alike. Auto accidents occur on these highways almost every day, and many victims have come to us for help following serious injuries. These accidents are more frequent after heavy snowfall, but can still pose a danger for every vehicle on the road throughout the year. These direct roadways are also frequently used by trucking companies to ship products between cities and states. Steep inclines and icy road conditions often cause trailer slides, tipping, and even roll-overs, posing a serious threat to other drivers. Do not hesitate to contact Foley Law Firm if you and your family have been seriously injured in a trucking accident. The team at Foley Law Firm is ready to assist you and your family with any injuries you sustained while visiting the beautiful Pocono Mountains. With our dedicated care, you can focus on recovery. Many visitors make the trip up to the Poconos for skiing adventures on the slopes in this gorgeous mountain range. Local resorts have an obligation to create a safe environment for their patrons and to provide safety warnings in dangerous conditions. Failure to do so can result in serious and even fatal injuries for skiers. Foley Law Firm can help you hold these large entities responsible for injuries you sustained, and build a strong skiing accident injury case. The team at Foley Law Firm is ready to assist you and your family with any injuries you sustained while visiting the beautiful Pocono Mountains. With our dedicated care, you can focus on recovery. Contact us online or call (800) 523-6539 to speak with a Poconos personal injury attorney that can help you start building your case today.